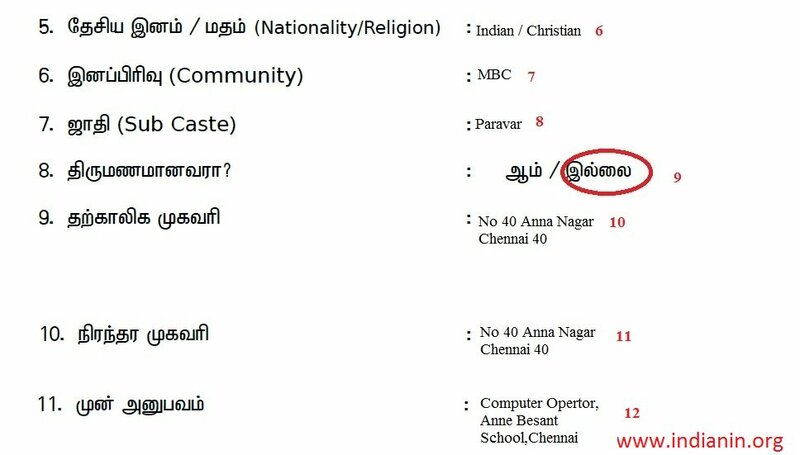 Organisation : Principal District Court, Dindigul. Time of Closing : 28.05.2018. 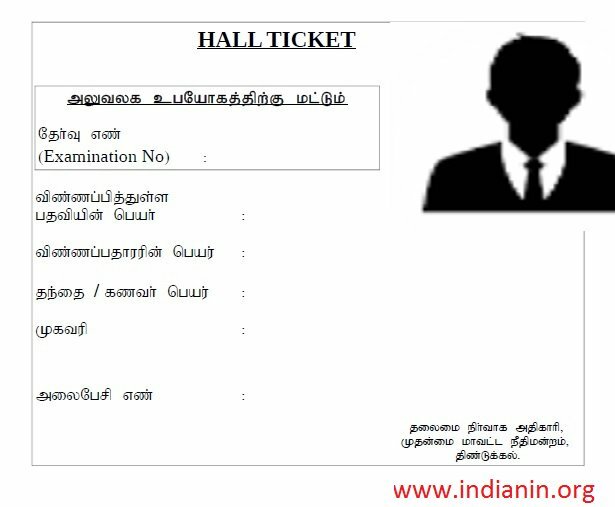 Dindigul District Court inviting the Office Assistants, Computer Operator,Watchman,Drivers,etc job offline applications from 28.04.2018 to 28.05.2018. The interested and eligible candidates can able to apply for this job easily. 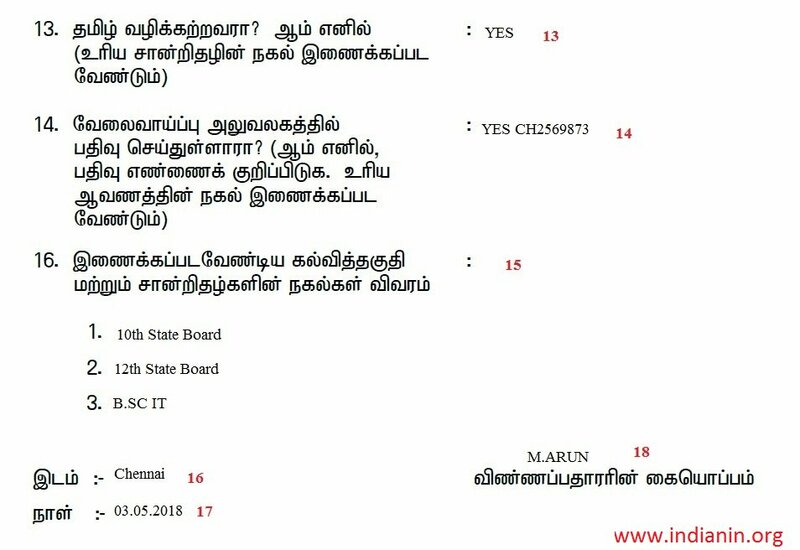 Applications are invited to fill up the following posts in Tamil Nadu Judicial Ministerial Service, Tamil Nadu General Subordinate service, Tamil Nadu Basic service in Civil and Criminal Courts of Dindigul District from the eligible candidates having the undermentioned eligibility criteria. The eligible candidates may apply for the undermentioned posts in the prescribed format along with copies of all the testimonial and certificates duly SELF ATTESTED by the applicants. The applications shall be submitted only by post. Age relaxation concession will be made with reference to the existing Government rules / Government orders. 2. Bachelor’s degree in B.A., or B.Sc., or B.Com., from a recognized University of Indian Union with a Diploma in Computer Applications from a recognized University. All the applications, with passport size photos affixed duly self attested on the Right margin of the application, in the space provided, as mentioned should be submitted along with self attested copies of all the testimonials, certificates on or before 28.05.2018 till 5.45 p.m.
Aalong with a self addressed envelope by affixing postal stamp of Rs.30/-. 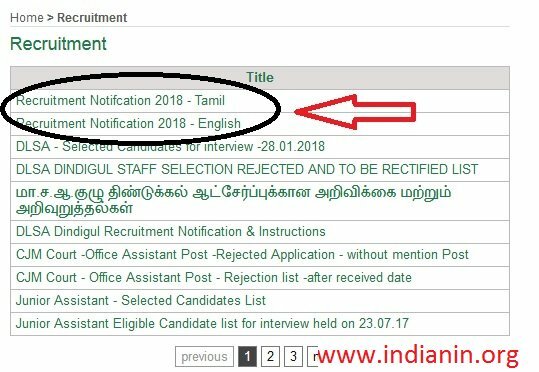 The Principal District Judge, Dindigul has been vested with the authority to select the qualified and eligible candidates, to postpone the interview, if circumstances need to annul the advertisement without any prior intimation. The applicant shall affix ONE Passport size photograph in the HALL TICKET FORM enclosed herewith and submit along with the application. 1. Separate application should be submitted for each post in the prescribed format, only by the post. 2. The Passport size photograph of the candidates affixed on the application, should be Self attested by the applicant. All the copies of certificates should duly be self attested. 3. The photographs should not be stapled and the photograph should be affixed in the appropriate place. 4. All further communications/Memo/Intimation for interview should be made only through website ecourts.gov.in/tn/dindigul. 6. All the columns in the application should be duly filled in and incomplete applications will be summarily rejected.